Every company struggles with budget issues. One year you project too high of a budget; the next year your projection is too low. With the current hiring market, it’s almost impossible to accurately predict what your hiring costs should be … or is it? New research, released by video interviewing platform Spark Hire, uncovers the cracks in the hiring process and explains four steps for positively changing this process when you’re having budget issues. You use hiring tools, right? If your answer is, “yes, but we don’t know what these tools do to our return on investment (ROI),” then we’ve got some serious issues. 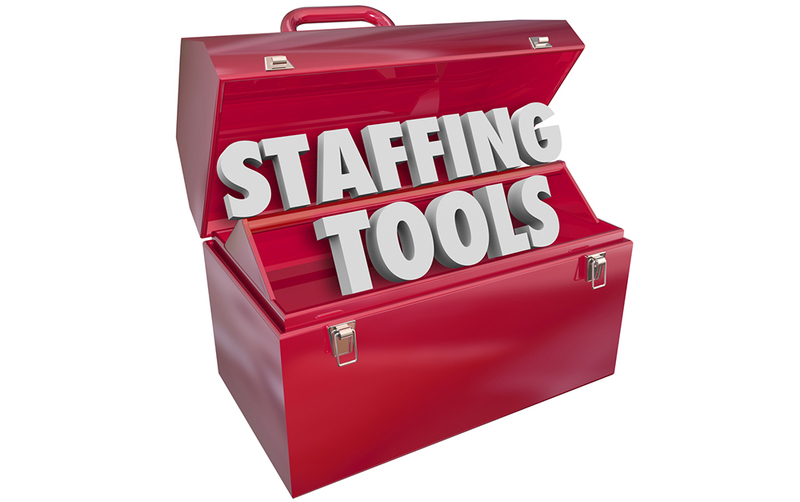 According to Spark Hire’s findings, 14% of respondents admitted they don’t know the ROI for the hiring tools they use. Spark Hire says there’s a reason why these tools aren’t being utilized properly: not everyone in the decision-making process has access to the same information. One would assume that all hiring managers have access to this date, but according to the research 18% aren’t filled in about the ROI of the hiring tools they use. Spark Hire suggests sharing the data with every person involved in the hiring process … which brings us to step two. When you share all the data from your hiring tools across multiple hiring teams, your company can see the bigger picture of what is and is not working. Back to the budget issue: your budget is supposed to last all year, right? For companies who aren’t tracking cost-per-hire, some are blowing through their budget after the first few new hires. What’s worse is that 24% of Spark Hire respondents say they don’t even track this metric! Additionally, the people who control your purse stings aren’t even aware of the ROI such hiring tools bring to the table. Which brings us to step three! According to the research, only 4% of respondents are unaware of the ROI of their company’s hiring tools. However, Spark Hire attributes that nugget of info to individuals who are higher up in the company—ultimately the ones who create your budget—and do not participate in talent acquisition and hiring decisions. So … the people who decide your budget don’t even know what it’s being used for or if it’s even being used properly? Furthermore, 35% said it was leaders who prevent their team from getting new tools or using the latest trends. Spark Hire says that having executives control your hiring process is ultimately hurting your hiring process, and the data backs up this claim. What can your company do? Ask your hiring managers and other midlevel employees what’s needed to improve the hiring process as well as where the holes are in this process. By bringing in more than just executives to the budget conversation, your company will have a clear view on how your budget is set and spent. Not only should you be involving many people from the hiring department; you should also make sure you have money allocated for hiring more people to help your hiring department. Spark Hire asked respondents how they would spend the money from a budget increase, and 21% said they would hire more workers to help in the hiring department. Furthermore, the lack of manpower is negatively impacting hiring professionals’ satisfaction at work. However, sometimes a budget increase isn’t always an option. Which brings us to our fourth and final step! If there isn’t enough money to just “hire more hiring people,” see if funds can be allocated for tools that will simplify the hiring process. For example, does your hiring team spend copious amounts of time scheduling interviews and phone screens? If so, see if there’s a cheap or low-cost scheduling assistant where candidates can browse through your recruiter’s schedule and pick a day and time that works best for them. This eliminates all the back and forth e-mails and phone calls, and this greatly improves the candidate experience. If the candidate can’t find a day or time to schedule and interview from this resource, trying screening the candidate on a video interviewing platform, like Skype or Spark Hire. When using tools like Spark Hire, you can “assess more candidates in less time and save video profiles to a talent pool library.” Which means, if the candidate wasn’t a good match for this particular role, you can go back to a video profile to see if there are any open positions he or she would be better suited for. While we’re still on the topic of recruiting technology, niche industry job boards are also a great way to find skilled talent. For example, if your company is looking to recruit more construction workers, instead of looking at the popular job boards, like Glassdoor and Indeed, turn to Construction Jobs, as an example. If your company recruits for many industries, not just one, a quick Google search of “industry specific job boards,” yields great results! And finally, when all else fails, turn to your employees! Not only are your current workers knowledgeable about your industry, they’re also the best judge of character when it comes to their family and friends. Incentivizing employee referrals is also a great way to seek top talent and motivate your workforce to help you fill the void. When money is tight, fear not! There are ways to work around these budget constraints. Keep step number four top of mind, and you’ll be in good shape to hire quality candidates for little to no cost at all. To learn more, click here.